Article 17 of the Thirty-Nine Articles is the longest article of all the articles and marks the transition between what has preceded in articles 14-16 and what follows in article 18. Because of an inflated sense of man’s worthiness before God since the Fall, a stance of humility is necessary when we examine the Bible’s teaching. Before we examine the three sentences that make up the Latin original of the article, it is important to understand that there were only some slight changes made in 1563 and 1571 to Thomas Cranmer’s 1553 original that demonstrates the common mind of the Anglican divines on this biblical doctrine from the time of Cranmer into the 17th century. Their consensus is one voice within the larger chorus of Reformed thinking on the subject that led in just twenty-five years to further clarification in the nine points of the Lambeth Articles of 1595, which anticipated the Canons of Dort by more than twenty years. The Lambeth Articles were intended to supplement article 17 due to the growing influence of Jacob Arminius (1560-1610). The Reformed doctrine of predestination and election is constitutive of Anglicanism. Any suggestion to the contrary reveals more of an alien influence upon Anglicanism rather than the doctrine of the historic formularies. There was little disagreement among the Reformed churches of Europe about the key points of this doctrine. Gerald Bray notes that just a year before Cranmer wrote this article, Martin Bucer gave a series of lectures at Cambridge on Ephesians, one of the key passages on this teaching [Bray, The Faith We Confess, 96]. Bucer taught that Anglicans ought to preach predestination boldly and clearly, not to condemn the reprobate, but to encourage the people of God in their sanctification. The wording of the article corresponds very well to what Martin Bucer had in mind and to this day remains one of the most balanced statements of the doctrine and its application to the Christian. The first sentence is a straightforward and uncompromising. Election and predestination are grounded in the eternal decree of God for our redemption. Our redemption was not his response to anything inherent in us: neither in our disobedience in Adam or a foresight of faith or a future obedience. He determined in his secret Trinitarian counsel to deliver us from eternal damnation through the person and work of his Son Jesus Christ. It is only the will of God's good pleasure and for his glory, as lost men and women are "vessels made to honour." Effectual calling: The elect hear God’s calling and obey it by his grace. Justification: The elect are then justified by the free gift of God. Adoption: The elect are made children of God by adoption. Sanctification: The elect are transformed into the image of God’s only begotten Son, Jesus Christ. Perseverance: The elect possess justification by living a life of good works in the obedience of faith. Glorification: By the mercy of God alone, the elect ultimately obtain everlasting joy in the presence of God. The Holy Spirit mortifies the works of our flesh. The Holy Spirit turns our minds to higher things. The Holy Spirit establishes and confirms our faith in eternal salvation. The Holy Spirit kindles our love for God. 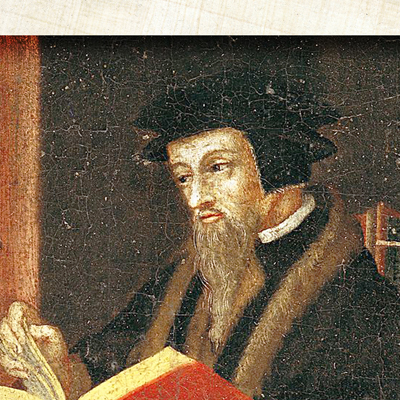 Cranmer joins Calvin as a theologian of the Holy Spirit. He begins here with the two-fold biblical principle of mortification and vivification: the Holy Spirit helps us to see how we must put to death our old life in rebellion against God and replaces our desire for things earthly with a deeper desire for things heavenly where Christ is. As Romans 12.2 reminds us, so much that we do depend on the renewing of our minds in how we think. We can also see how Christian who may be called to endure terrible affliction and trial in this earthly life, will be strengthened and encouraged as their eternal salvation is reaffirmed in their walk with the Lord Jesus to glory. We rejoice in our sufferings, knowing how that suffering produces endurance (Rom. 5:3). We begin to see more clearly how God’s many providences show his care for us so that we trust him more and more for whatever may lie ahead. We make it our aim to please him (2 Cor. 5:9). The last sentence reminds the Christian of the importance of the sufficiency of Scripture. As we teach biblical doctrine, we must apply biblical doctrine within the bounds set by the Scripture. The article underlines the fact that Scripture applies the doctrine of election and predestination to encourage God’s believers. It defends that gospel from ideas of human merit and impresses upon the believer the absolute security we enjoy in the gospel. It is not to be preached to all the world. Pastors must be sensitive in the preaching not to promote unhelpful speculation. We know that those who are not chosen for eternal salvation are condemned, and the article by implication here affirms reprobation or double predestination that article 4 of the Lambeth Articles will confirm later. 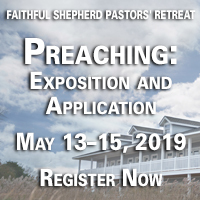 But the Christian pastor is also reminded that we must take care in how we apply it to specific individuals in the congregations of the local church or in the various hypothetical scenarios of the one who has never heard the gospel. We are not to speculate, but to preach the gospel made possible by God's gracious predestination.